Billy Gage is a highly qualified panelbeater with 24 years experience in this industry. He is a well known panelbeater/ spray painter in the industry and is one of the best panelbeaters around. Billy together with his dedicated team constintantly strives to achieve excellence. 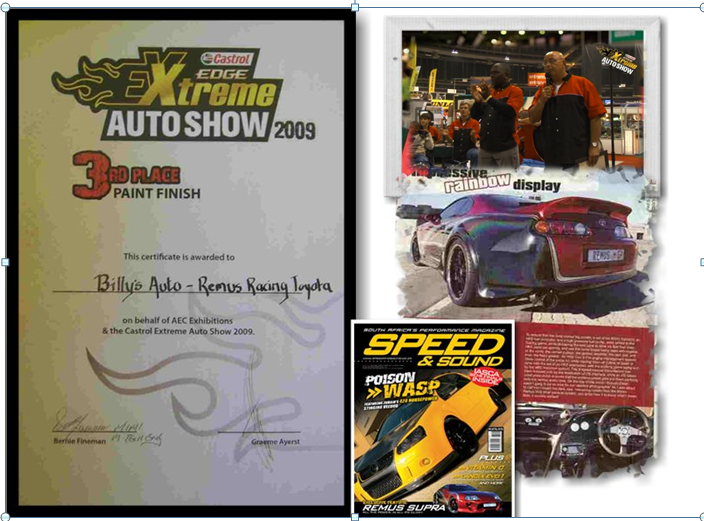 During 2009 Billy recieved 3rd Place Paint finish at the Castrol Xtreme Autoshow . He as also worked with the famous Riaan Garforth-Venter beter known as the nutsman. Riaan saw one of the cars Billy spraypainted and decided to do a episode with Billy and to see how Billy works!